These species are now widely distributed in Canada and the northern United States. 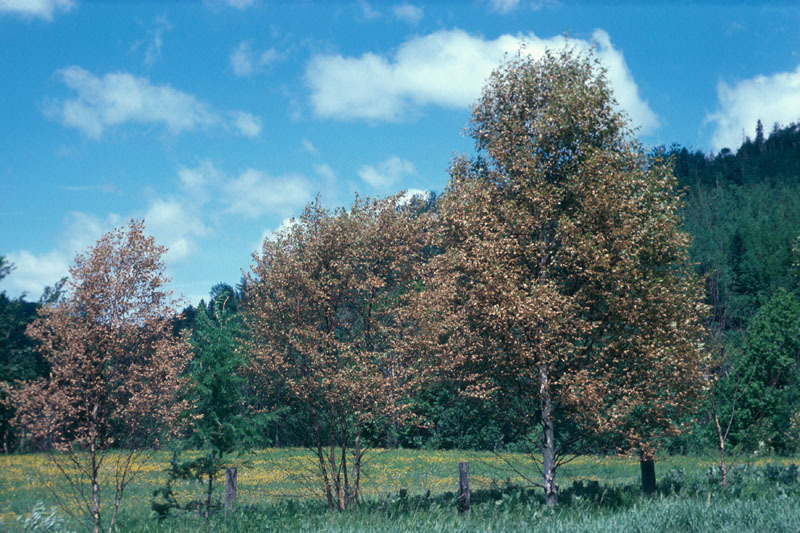 The three species of leaf miner that attack birch were accidentally introduced from Europe into North America early in the 20th century. Damage by these insects is confined to the leaves of birches. The first signs of damage become noticeable in early June, when small, light green or gray spots appear on the leaves around areas where eggs were deposited. 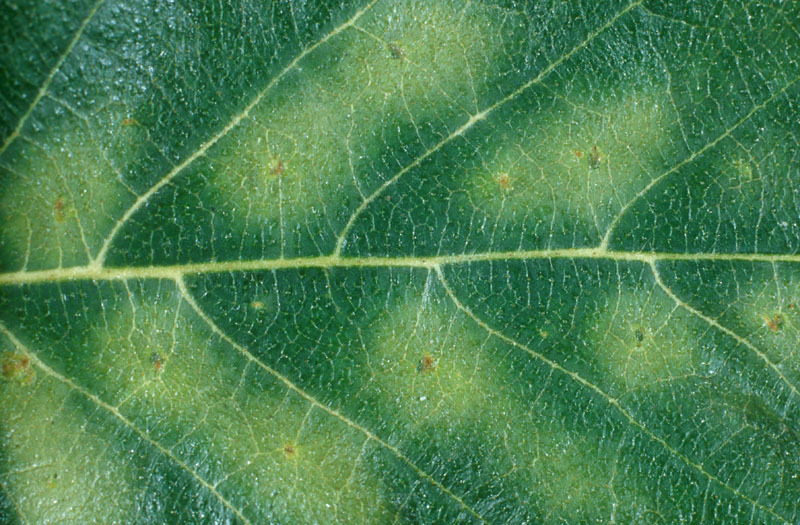 As these spots develop they turn into brown blotches, usually more than one on each leaf. As larvae feed between a leaf's surfaces, the blotches increase in size and merge, eventually covering most of the leaf. The larvae may be seen by peeling back the surface layer of a leaf blotch or by holding the leaf up to the light. Although most of the inner leaf tissue may be destroyed, this need not cause serious damage. A healthy tree will withstand many years of light-to-moderate attack, and mortality from this agent alone is not known. 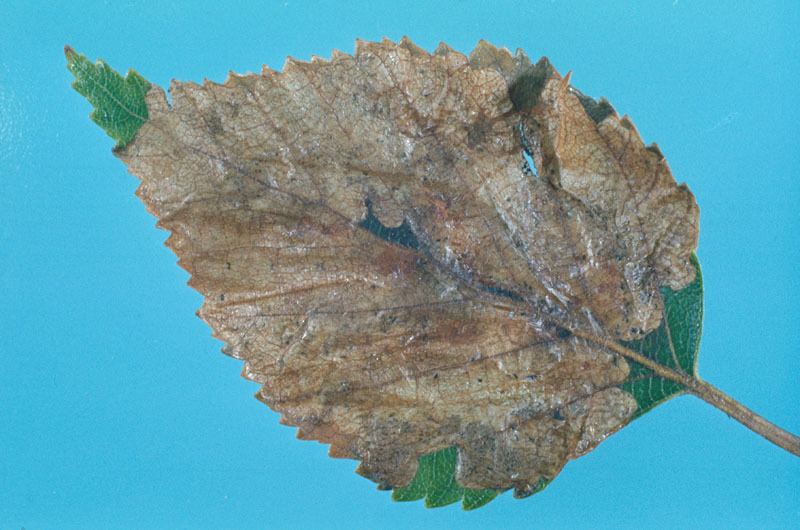 Leaf-mining damage does cause stress to the birch, however, and that, combined with a lack of adequate moisture and attack by other insects, may bring on branch and top dieback: it is mainly this unsightly appearance that people dislike. In the Prairie Provinces most of the damage to ornamental birches, and probably also native species, is caused by Profenusa thomsoni. Adults of all three species of leaf miner are small black insects known as sawflies (3-4 mm long, with a wingspan of 6-7 mm). The larvae are whitish, slightly flattened in appearance, and 6-7 mm long when fully grown. 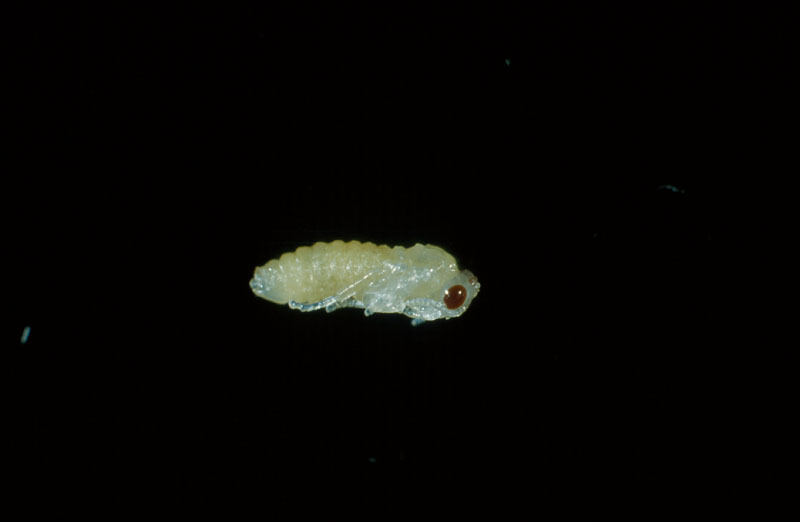 Variations in the black marks on the undersides of the larvae may be used to discriminate among the three species. The first species to attack trees in the spring is F. pusilla, which tends to prefer newly formed leaves in the exposed crown of the tree. In mid-May, females each lay up to 20 eggs in slits near the midribs on the upper surfaces of young leaves. 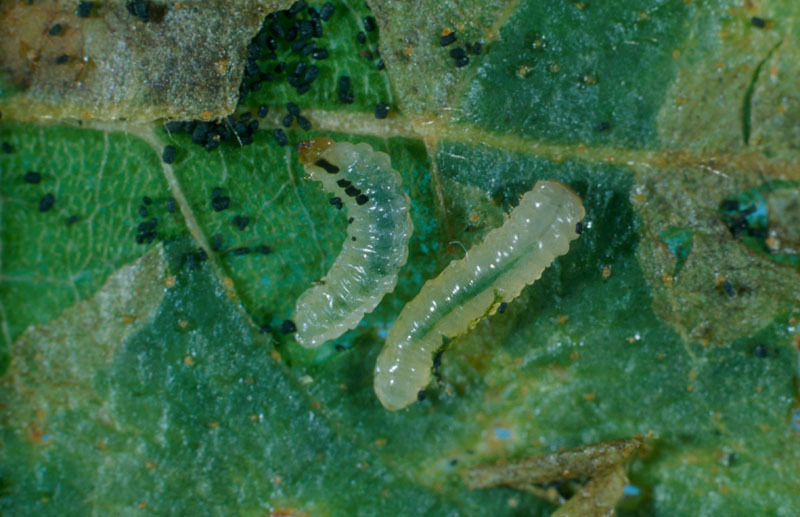 Larvae hatch from the eggs in early June and feed on the tissue between the leaf surfaces. Mature larvae emerge from the leaves in late June until early July and drop to the ground to pupate. Two weeks later they emerge as adults, and the life cycle is repeated, with a new generation of larvae dropping to the ground to pupate in late August and another in early September. Usually two generations, and sometimes a smaller third, occur in the Prairie Provinces. The larvae of the last generation overwinter in small earthen cells beneath the soil surface, and adults emerge the following spring. 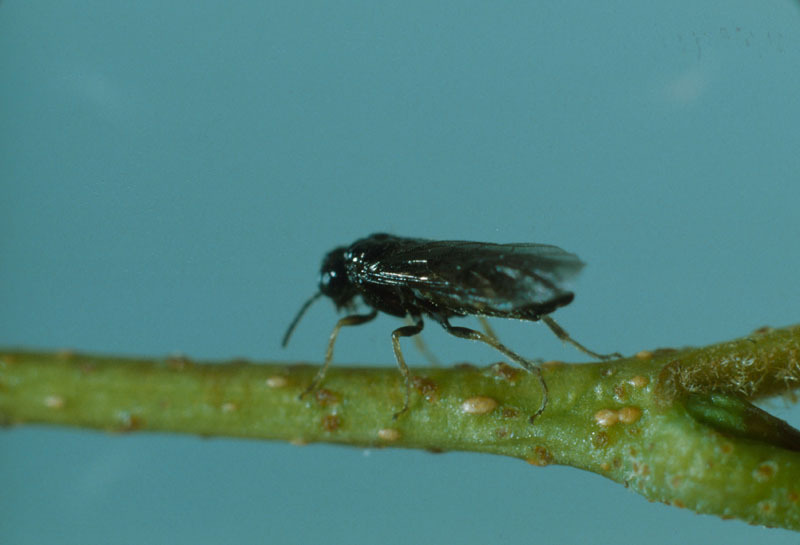 The two other leaf miner species are similar in appearance and biology to F. pusilla, but they attack trees later in the year (July) when leaves are mature, and are therefore able to produce only one generation annually. Feeding by P. thomsoni and Heteranthus nemoratus continues during early September or until the first frost. Profenusa thomsoni overwinters and pupates in the soil, but H. nemoratus pupates in the fallen leaves. Trees should be kept healthy and better able to withstand leaf miner attacks by watering the roots in the fall before frost sets in, applying a suitable fertilizer each spring, and watering during dry periods in the summer, especially during July and August (because ornamental birches are shallow-rooted). H. nemoratus pupates in fallen leaves; therefore, raking and disposing of leaves in the autumn reduces the numbers of this species. The other two species emerge from the leaves to overwinter and pupate in the soil; placing plastic sheets under the trees for 3-5 days when larvae fall to the ground (see previous section for approximate times) and then killing the larvae captured reduces populations. Wong, H.R. ; Drouin, J.A. ; Langor, D.W. 1991. Petites mineuses du bouleau. Ressour. nat. Can., Serv. can. for., Cent. for. Nord, Edmonton (Alberta). Dépliant for. 5. Wong, H.R. ; Drouin, J.A. ; Langor, D.W. 1991. Birch leaf miners. Nat. Resour. Can., Can. For. Serv., North. For. Cent., Edmonton, Alberta. For. Leafl. 5.